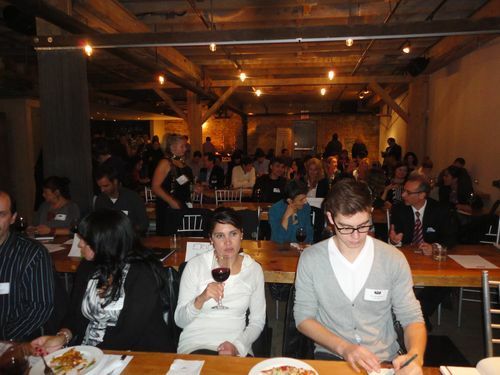 Search and Social Rank Symposium Five exploded to life in the Boiler Room event space above 18 Tank House Lane, as once again the Distillery District hosted Search and Social Rank Symposium Five. The fifth symposium was a big success, as sixty four participants savoured the secrets shared by five super knowledgeable speakers. Each presentation related some aspect of Search Engine Optimization SEO, and Social Media Optimization SMO and conflict and cooperation between these two marketing disciplines. Search and Social Rank is real; the real life concept alludes to amalgamation of SEO and SMM and how these two practices are combining to make what most analysts believe will become the future of web marketing. For more info on the SSRS ideology peruse Smojoe blog, or join the Meet-Up Group around Search and Social Rank Symposium Five. What Happened At SSRS5 Event in the Boiler Room? 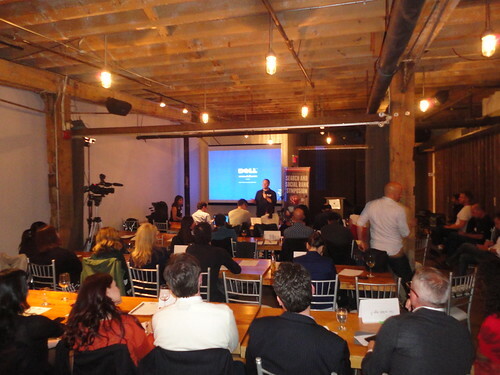 Rob Campbell of SMOJoe, the moderator of #SSRS5 started the big show 15 minutes early, which pleased the event administrators; it is uncommonly rare for Toronto tech events to begin ahead of schedule! Each audience member enjoyed the plate of food and the complimentary alcoholic beverage that their $20 ticket afforded, and probably because of the great reputation of El Catrin Mexican restaurant, many people showed up early to be sure and get in on the feast. The space filled up from front to back and every seat was taken in the first six rows. The wireless password and #SSRS5 event hashtag were posted at the door and just about everyone in the audience had a laptop, ipad or camera or smartphone and some had multiple devices – these came out right after dinner when the event staff cleared plates and just before the speakers began the evening’s show. 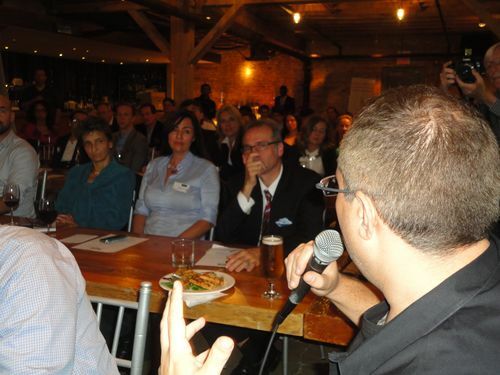 Rob lectured on How To Do Content Marketing For SEO? His terrible quality PowerPoint presentation did a surprisingly good job positioning him as a sophisticated search and social rankings expert. After expoalaining on-page and off-page SEO, Rob focused on the challenge of getting incoming links to client websites, and shared tips making high quality stories (across multiple platforms) with links embedded in keyword rich messages. Below is Brian Rotsztein pictured beside the lovely SSRS sign made fresh that morning by the designers and staff at Jib Strategic, a boutique ad agency with offices two buildings south on Trinity St, on the fourth floor of #9 Trinity St.
Brian Rotsztein spoke to the assembly about the merits of using videos for search engine optimization and the dos and donts of rich media marketing. 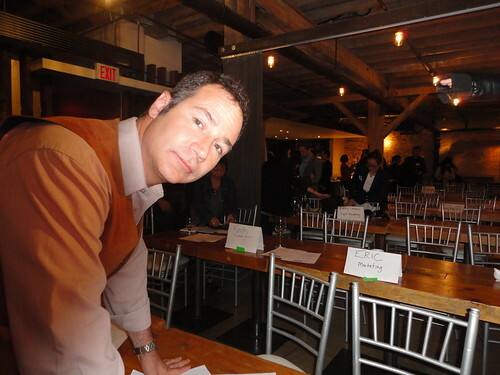 Brian is the CEO of UNISEO Montreal ad agency, and he is again this year the President of the Canadian Internet Marketing Association which may come on board as sponsor for the next Search and Social Symposium. 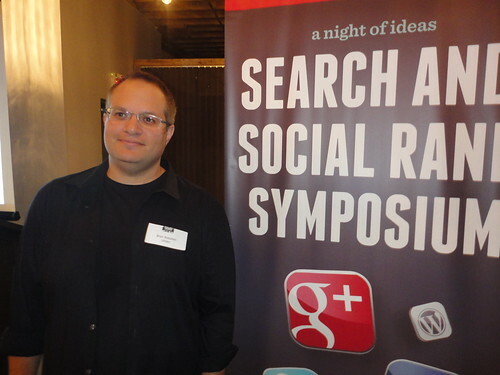 Brian wrote about SSRS5 on Purposive Blog, Search and Social Rank Symposium V in Toronto wherein he discusses his trip to Toronto. 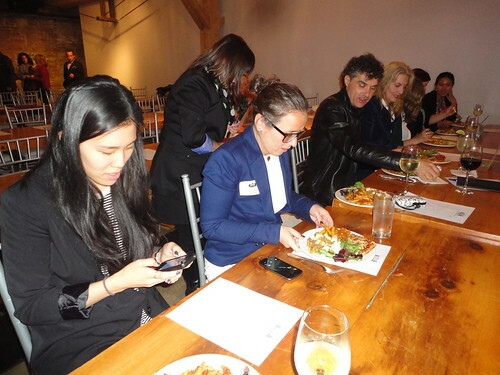 Jennifer Balogh discussed how to make email marketing campaigns more social. 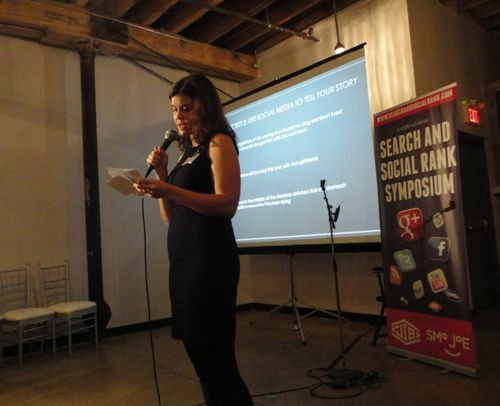 People were listening like thieves when Jennifer Balogh the Senior Account Manager of email marketing at Vigorate Digital showed her stats and case studies and listed best practices and real tips and tactics people could use to make their email more trusted and more intelligent. She started strong by getting everyone really excited by showing econsultancy statistics that illustrate how email marketing is still quite efficient today, and perhaps more cost efficient than other more ‘social’ approaches. While explaining Email Marketing in a Social World, Jen focused on trust-building techniques and ways to shape impressions inside the email experience to promote social expressions and build corporate SMM profiles and of course encourage people to visit websites and populate email subscriber lists. Upon concluding her speech and after some applause, Jen took questions which first defined ‘permission based email’ campaigns. Jennifer showed how her team offers a robust, SaaS email marketing solutions with secure and redundant data centers in the Cloud as well as Canada (Toronto and Vancouver) and Ireland. Vigorate Digital Solutions industry leading platform, the Digital Campaign Manager, is among the most feature-rich and can be used to create, manage, deploy, track and monitor sophisticated, highly targeted email marketing campaigns. Nikkie was the most retweeted speaker according to Tweetreach.com; her five tips to brand storytelling were quite well received, and she was especially popular with other bloggers in the audience. 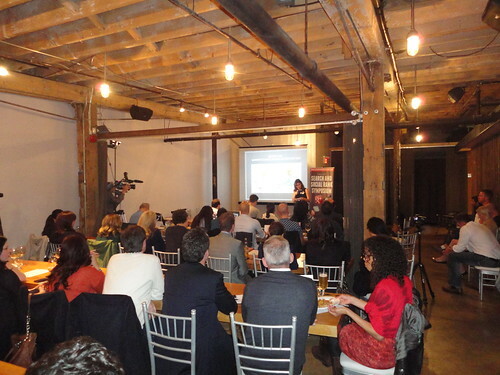 Writing good content for your blog on your website is challenging and so the audience was very receptive to her talk. Geoff Whitlock gave insights into what it means to do integrated marketing, and thereby harvest the synergy between Google AdWords and video and blog content marketing with SEO, and he really did show some big ad agency secrets to making the special sauce of ‘Earned Media’ which comes right after Paid Media and Owned Media in his company’s web marketing P.O.E.M. As the high energy CEO, Geoff build Surround Content Marketing Strategy to reflect his web P.O.E.Try and three phase marketing regime. Geoff Whitlock discussed the inter-dimensional relationship between Paid Media, Owned Media and how it works to create Earned Media and make a POEM. 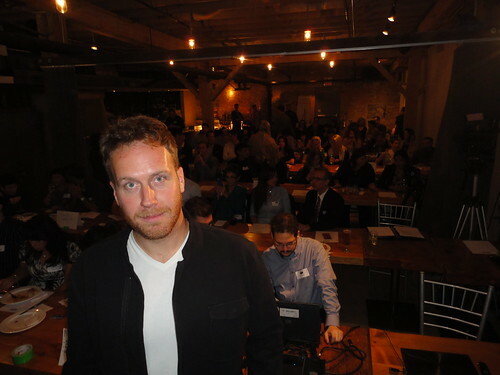 Geoff runs SURROUND, a digital marketing services company specializing in content marketing. Hammering his marketing POEMS philosophy home, Geoff let the audience glean the details from his best client’s performance charts in accordance with the various and different marketing levers pulled at different times for different reasons inside an integrated web marketing strategy. After the event there were plenty of people hanging out and chatting with the speakers. Smart Canucks Discuss Search and Social Rank Symposium Smart Canucks is a good site to start a discussion about anything related to the Canadian online experience. Free Ads Planet discusses Search and Social Rank Symposium V and its connection to a ticket window website called Yapsody. 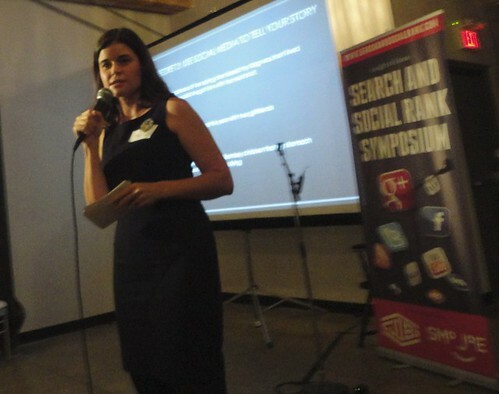 Canadian Content forum post on Search and Social Rank Symposium Five is all business. Duzee / Price Network Discussion on Search & Social Rank Symposium 5 in Toronto, the old Price Network discussion forum. This entry was posted in Age of Earned Media, Search and Social Rank Symposium, Secrets, Seminars and workshops, Toronto and tagged Brian Rotsztein, El Catrin, email marketing, event space, Geoff Whitlock, Jennifer Balogh, Jib Strategic, Nikki Fotheringham, Rob Campbell, Search and Social, seo, SMO, Smojoe, tech symposium, Virgorate. Bookmark the permalink. So sorry to have missed this event. Rob, Geoff and the rest of these folks are some of the brightest minds on the cutting edge of all things Search, Social and SEO. They can teach you a thing or two from the absolute front lines that could help you stay one step ahead of your competitors. Remember, Social is about engagement, but also even more importantly, it is about leveraging the power of Social to amp up your relevance in the Google landing page Universe. Google just announced recent changes to the algorithms that will impact how clients will appear in search results in a major way. It will be vital for marketers to learn how to modify their behaviours in the Social landscape to take advantage of, or protect yourself and your clients from from the most recent changes to Google’s algorithms. This was a great place to start that learning process and met the people who can help you stay ahead of the curve. Will definitely try to be there for #6! 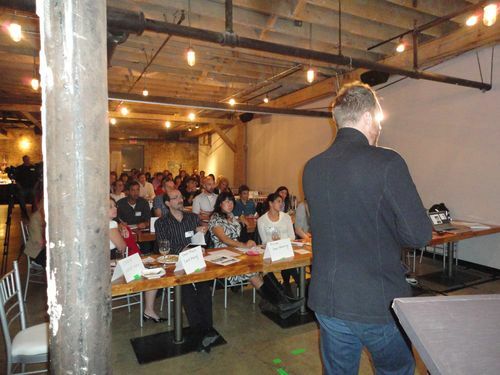 This write up is a great summary for those of us who were unable to attend #SSRS5. I would have liked to see Rob Campbell’s “How To Do Content Marketing For SEO?” presentation live, however! Thanks Richard. We missed you. We all missed out on your experienced questions, and now I’m thinking youd actually be a good speaker for #SSRS6. How to Scale Cool ? Hey Summer we just added Vimeo videos and I watched myself and didn’t cringe in horrified embarrassment so it must be okay. It might even be good.